Tim Ferguson, Sofya Gollan and Paul Nunnari. Screenability NSW is a partnership between Screen NSW, Ai-Media, AFTRS, Carriageworks and Bus Stop Films, and involves a program of initiatives aimed at delivering on Screen NSW's policy commitment to work with industry to grow the participation of people with disabilities in the screen sector. The first initiative will be the Screenability NSW Internship Program, a series of up to eight paid internships on some of Australian TV shows and feature films. Interns will work with some of Australia’s leading production companies, broadcasters and streaming services. The intern program aims to create opportunities for people in the technical and creative areas of screen production, including set building, art dept., camera and sound depts., make up and wardrobe, along with writing, producing, admin and production roles, plus editing, sound design, VFX, composing and many more. There will also be opportunities in the programming, scheduling and commissioning departments of partners including Foxtel, Stan and iView. Prior to starting their internship, each of the eight individuals matched with a production will be provided with bespoke training through AFTRS, developed in consultation with Bus Stop Films. An online network will also be created for all the interns to share their production experiences. 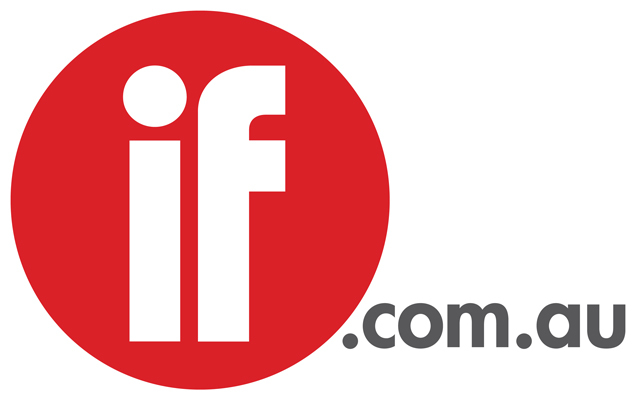 “As well as delivering positive outcomes to all the interns, this internship program has the potential to change attitudes in the workplace towards disability, and foster the growth of inclusive practices on a professional basis,” said Screen NSW Development and Production Executive Sofya Gollan. Gollan is also an acclaimed writer/director and well known as a deaf presenter on Play School. Tim Ferguson, co-director and co-writer of the new feature film Spin Out, will take a lead role in various Screenability NSW activities in the years to come. “A smart and dynamic initiative Screenability NSW will encourage and enable new thinking and, best of all, opportunities in the media industries,” said Ferguson. Following the internship program, Screen NSW will convene a forum at Carriageworks, hosted by Ferguson, for the interns, participant productions, partners, government, the wider industry and media to discuss the project, its outcomes and how it can be amplified to create ongoing employment opportunities for people with disability in the NSW screen sector into the future. 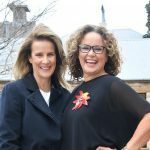 “We know from our work over the past ten months targeting gender imbalance in the screen sector, the key to creating a diverse industry, delivering richer content and ongoing cultural change, is getting people into paid positions, putting people from under-represented groups on set and into production offices,” said Screen NSW CEO Courtney Gibson. Paul Nunnari, disability advocate and performer, said people with disability continued to breakdown many barriers and redefine the meaning of disability across a number of dimensions within the community. “Screenability will assist in removing barriers to the film and television industry for people with disability and open up a range of opportunities. Just like orange is the new black, disability will become the new normal in the industry,” he said. Screen Australia’s recent study “Seeing Ourselves: Reflections on Diversity in TV Drama”, revealed that the percentage of Australians with disabilities was more than four times the percentage of characters with disabilities on TV. It noted that Australians with disabilities have lacked opportunities to be involved with behind-the-scenes decision making, such as a presence in writer’s rooms or on-set, which in turn can flow on to a lack of diversity on screens. “On-screen representation doesn’t change in a meaningful and authentic way unless things change off-screen, and Screenability NSW will be a catalyst for change, with the intention of creating opportunities in the long term for committed screen practitioners with disability,” Gollan said.